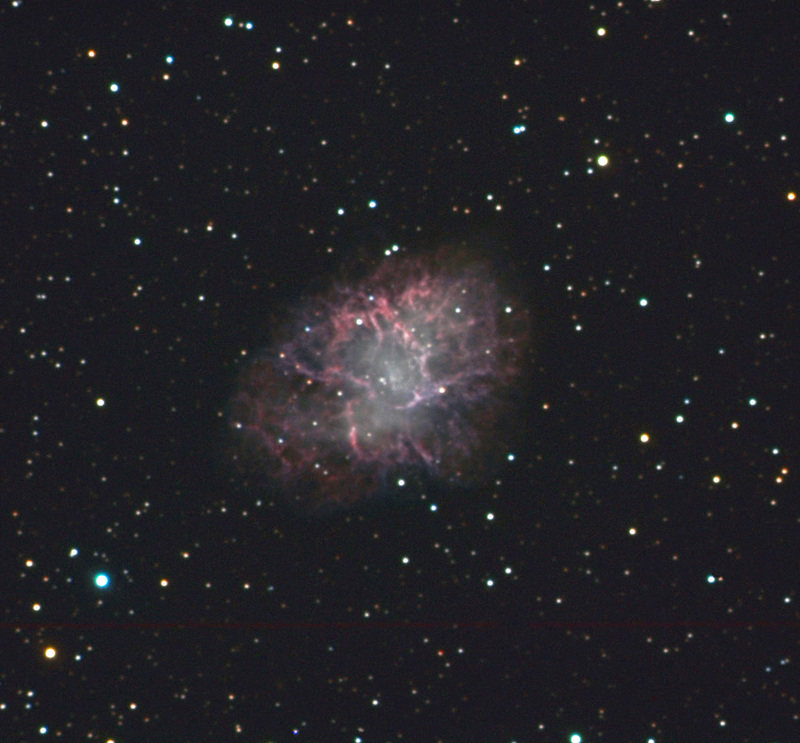 M-1 1392 x 1040 Exposure time: RGB 3 x 4 minutes.Luminance 4 x 4 minutes. 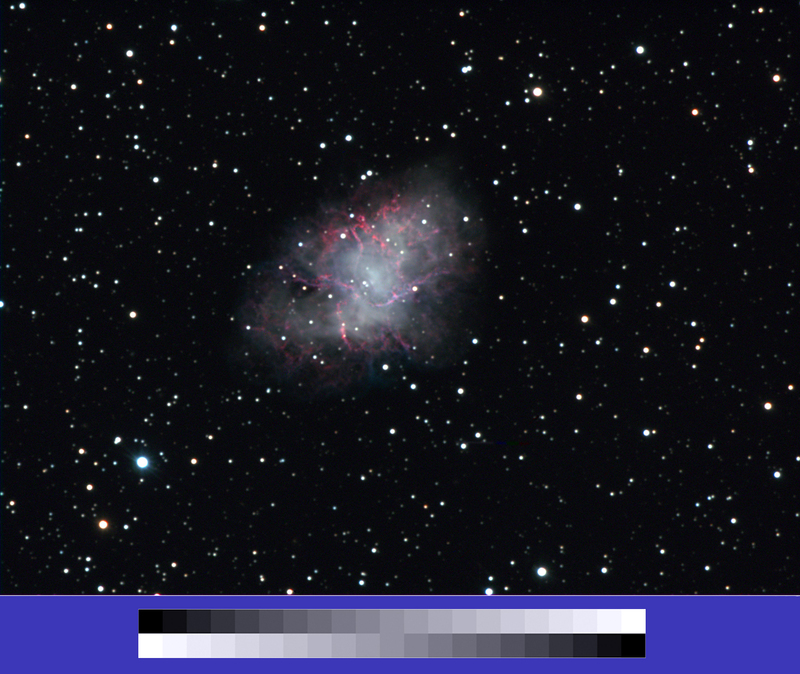 Instrument: 12.5" Newtonian, SXV H9 CCD camera. 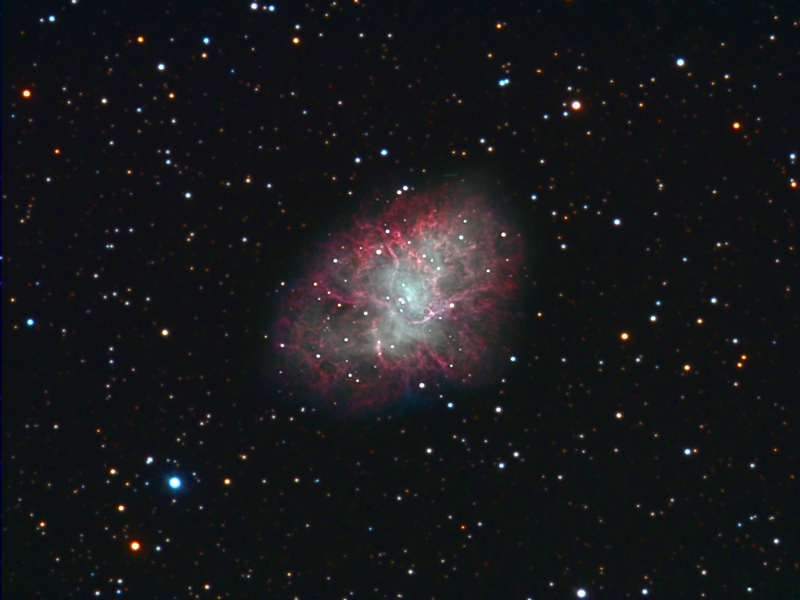 M-1 1392 x 1040 Exposure time: 3 hours. M-1 1392 x 1040 Date: January 1 - 2011. 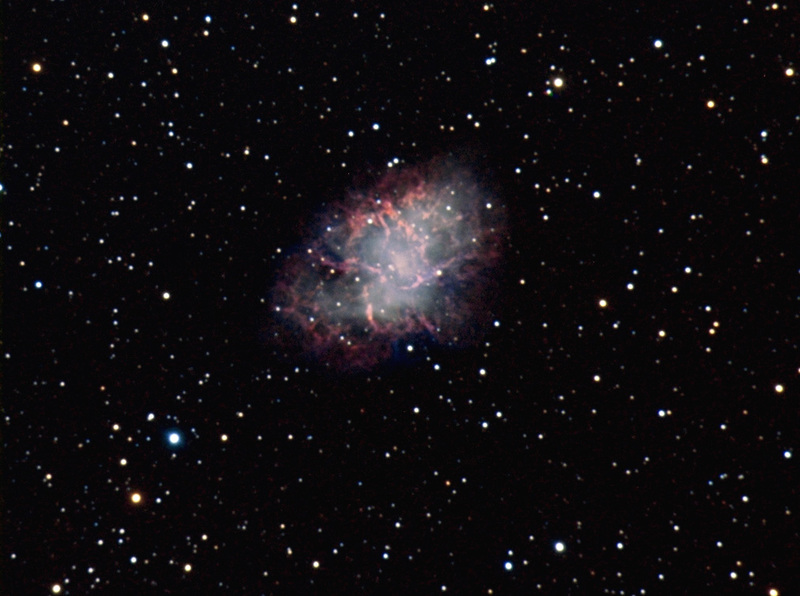 M-1 1392 x 1040 Date: January 1 to 29 - 2011. Asteroid Keaton 1392 x 1040 Date: January 27 - 2011. The asteroid 2712 Keaton, named after The actor Buster Keaton above M1. Asteroid 10403 Marcelgrün 1392 x 1040 Date: November 11 - 2004. 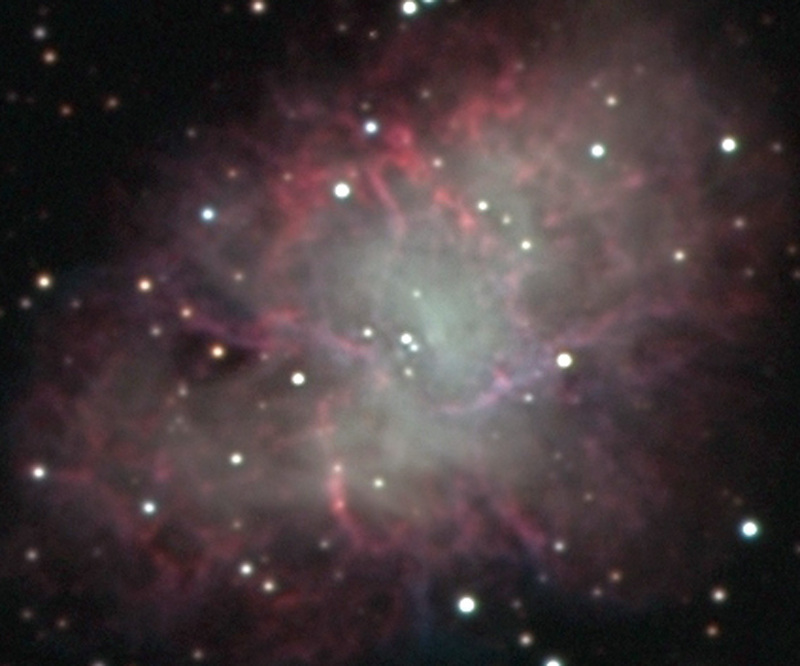 A short movie that shows the expanding Crab Nebula. The movie comprises four sessions. The first session is from 2004 and the last from 2011. 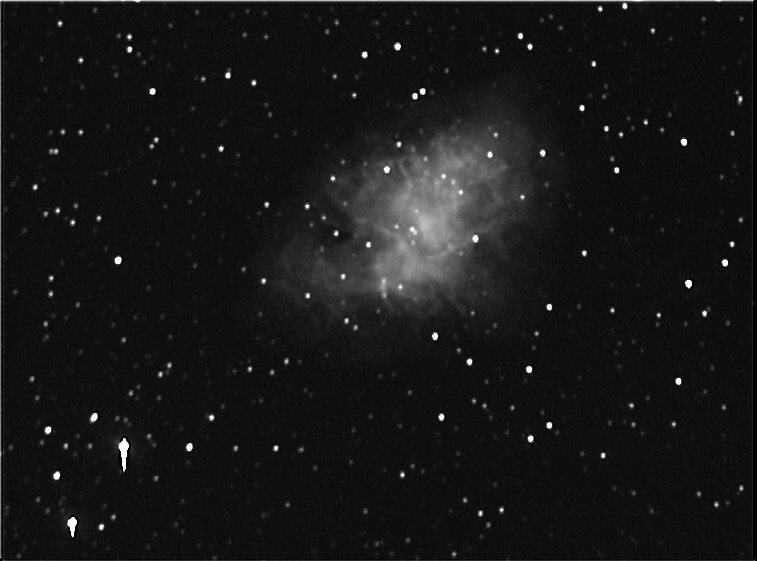 At the top right of the image it is possible to register a minor movement of a fairly bright star. The star is TYC 1309 1640 which has an annual movement of -61 msec in R.A. and -239 msec in declination. During the approximately seven years the star has moved some 2". 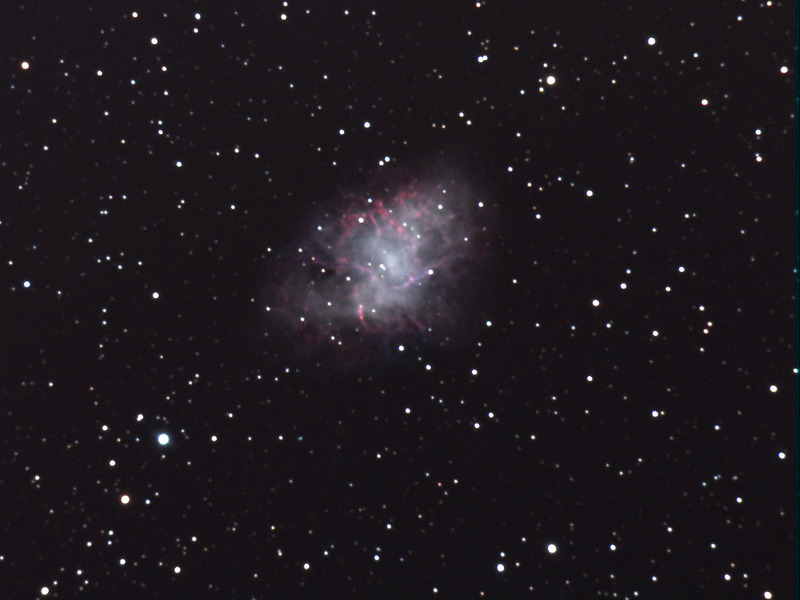 A short movie that shows the expanding Crab Nebula. The movie comprises five sessions. The first session is from 2004 and the last from 2013. 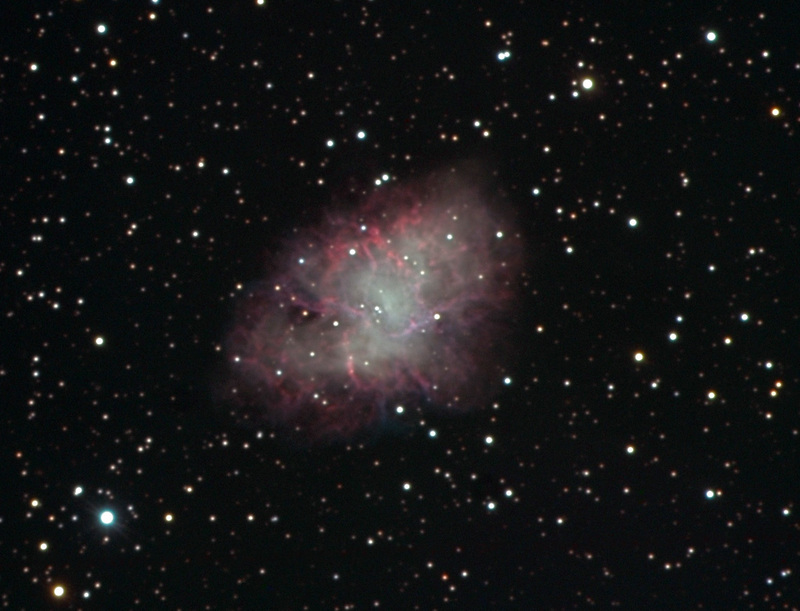 A short movie that shows the expanding Crab Nebula. The movie comprises seven sessions. The first session is from 2004 and the last from 2017. The movie comprises eight sessions. The first session is from 2004 and the last from 2019. Asteroid AO245 1392 x 1040 Date: January 27 - 2011. The asteroid AO245. Magnitude: 17,4. Integration time: 2 minutes. Time span: 92 minutes hours. 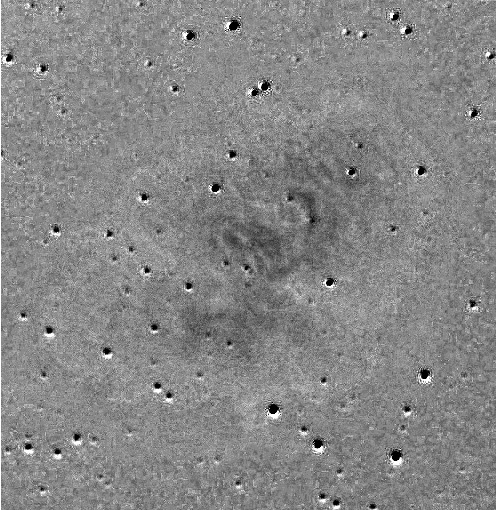 The asteroid is seen in the lower right part of the image.